A Rangers supporters group has called for the club to suspend chief executive Graham Wallace. Police Scotland is investigating a complaint from a shareholder that Wallace made misleading statements about finances at December's AGM. The Union of Fans wants the Ibrox chairman David Somers to intervene until the complaint has been assessed. They also want Somers to address if Sandy Easdale has been privy to share price-sensitive information. Shareholder Easdale is not a director of Rangers International Football Club plc. "Given the serious nature of the allegations, we expect David Somers, in his role as chairman, to suspend Mr Wallace until these investigations are complete," the Union of Fans said in a statement. Wallace delivered a summary of his 120-day business review on Friday, which emphasised the fraught nature of the club's finances and plans to rebuild using money raised from a proposed share issue. The review also claimed that the club is unable to process credit and debit card transactions for season tickets because of uncertainty about sales following the UoF's pledge to set up a trust fund for fans' renewal money. Their intention is to only hand this over to the club in return for security over Ibrox Stadium and Murray Park. However, it has since been revealed that the finance company, FirstData, had asked for security in return for processing the card payments last January - one month before the idea of the trust fund was revealed - because of the club's yearly accounts to June 2013 and Wallace raising the prospect with the playing squad of taking a 15% pay cut. A Rangers shareholder has also made a complaint to Police Scotland about Wallace's assertion at last December's annual general meeting that there was sufficient cash in the bank to sustain the business to May, only for the board to seek a £1.5m loan from two shareholders in February, to meet running costs. "The outcome of Mr Wallace's business review gave a comprehensive overview of the circumstances surrounding his arrival at the club and the financial assumptions made at the time." The UoF - a coalition of supporters groups - wants action taken in the meantime, though. "We have consistently stated that his AGM undertaking that the club had sufficient funds was false," the group said in a statement. "We are not surprised that his consistent refusal to address this issue has led to angry shareholders taking this action and we hope there will be a thorough investigation. "We would like to address the London Stock Exchange statement [on Friday], and Mr Wallace's subsequent comments, which attempted to lay the blame for the withdrawal of credit and debit card facilities at the door of UoF and [former Ibrox director] Dave King. "Once again, we have seen a Rangers board attempt to deflect the blame for their own incompetence onto fans who only want the best for the club. "Even more seriously, this is a blatant attempt to mislead shareholders as to the underlying reasons for the club's inability to provide these facilities." The UoF responded to aspects of Wallace's review, which blamed the club's financial predicament on the way that previous boards spent all of the £70m raised in two tranches of season ticket sales and the launch of RIFC on the Alternative Investment Market. They also called into question the role of Sandy Easdale, a shareholder and chairman of the football club board, who spoke before the review was published about the "fragile" nature of the finances and suggested the business would not survive an insolvency event. "James Easdale [a current director] sat on the previous board from July of last year. Is he now going to be removed for his part in this financial mismanagement?" the statement added. 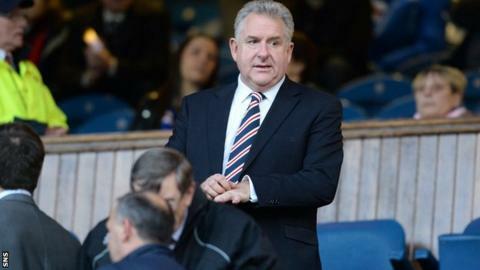 "Sandy Easdale has clearly had unprecedented and unjustifiable access to the PLC's financial details. 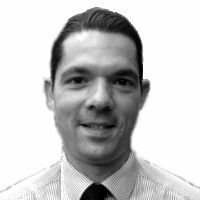 "His public statements just prior to the review showed that he has access to information he should not, and showed the utter lack of corporate governance being enforced by Mr Somers in his role as chairman. "It is time for Mr Somers to step forward and clear up this mess."